#WPSUreads: What are you reading this fall? Take part in the Great American Read contest September 10—October 19. Have you been catching up with all the wonderful reads in your list lately? We want to know all about it! 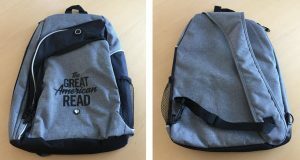 WPSU invites you to share photos/videos of what books (or e-books) you are exploring this fall to be in the running to win an exclusive “The Great American Read” bag! Take a photo or a video of the book you’re reading. Feel free to be creative and tell us a little about the book. Post to Facebook, Instagram, or Twitter. Tag WPSU to let us know that you’re sharing a #WPSUreads. Wait to be contacted if you’re a winner! *Note: Be sure to set your profile to public so we can see your posts. This campaign ends October 19. View the terms and conditions. Tune in to watch The Great American Read on September 11. Visit The Great American Read to take part in a national conversation about America’s favorite books and vote for your favorite book before October 19. 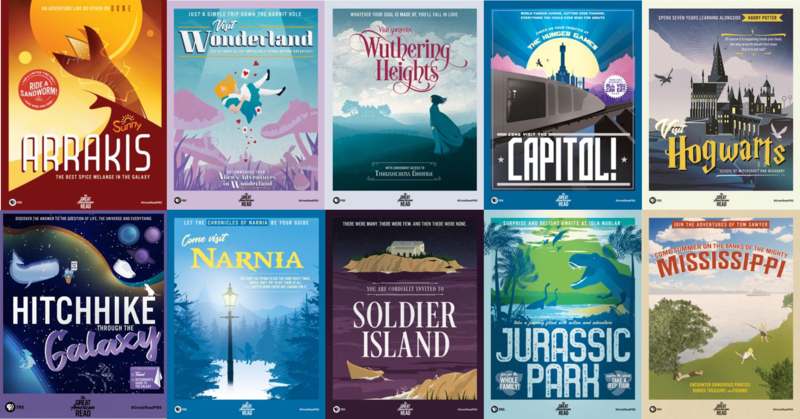 Download “The Great American Read” posters here. The giveaway begins on Monday, September 10, at 12:00 a.m. and concludes on Friday, October 19, at 11:59 p.m. This contest is only open to individuals who are at least 18 years of age and are competent to contract in his/her name.